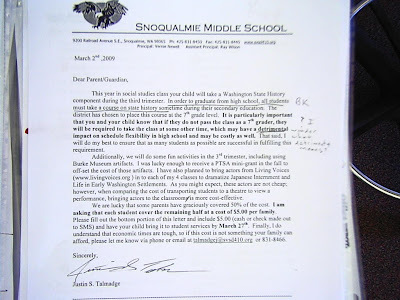 Mr. Talmadge's Class Website: WA State History Money Due Friday! WA State History Money Due Friday! I just wanted to remind everybody that the five dollars to pay for actors from Living Voices during third trimester is due on Friday. I am attaching the original letter that explains everything. Thanks for your support!